Imagine is the quarterly magazine of WEC Australia. 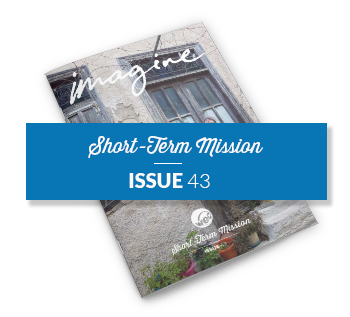 In it you will find inspirational stories of how God is working through WEC, up to date news from our workers and current opportunities to serve. We hope you will be blessed by what you read. To read any of the issues, click on the image below. There are many dimensions to the work that WEC is involved in around the world. People use their gifts, skills and passions in interesting and even unexpected ways within a missions context. 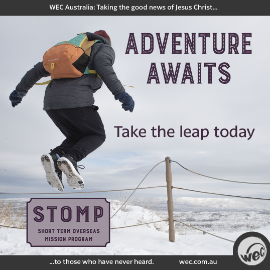 This creates opportunities for ministry to develop in a number of different areas, and for people to be challenged with the good news of Jesus in a range of ways. 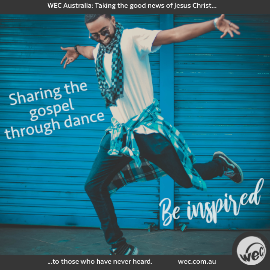 Going Beyond allows you to explore topical themes in more detail; find articles, media and more here, each about the different ways people within WEC are cross-culturally sharing Jesus with those around the world.